Social media advertising is more popular and more effective than ever. 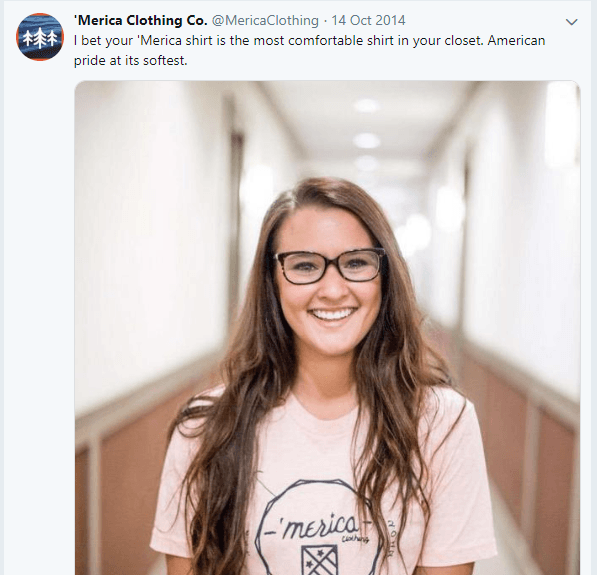 In fact, 25 percent of people who see a social ad respond by visiting that store or website, and in 2019, it’s a must-have strategy. If you own a business, regardless of the size, social media advertising strategies can help you reach more potential customers and direct them to your website. In addition, advertising on social platforms increases brand awareness and revenue year over year. If you’re interested in reaping the benefits of social media advertising, read on! We’ll cover the top social media advertising strategies for 2019. It’s time to pull out your social media calendar and get planning! Why is social media advertising important in 2019? Wondering why social advertising is suddenly so important in 2019? The truth is, social media advertising has always been important. With the new year just around the corner, though, it’s the perfect time to take a look at your strategy and revamp it if need be. Social media platforms like Facebook, Twitter, and Instagram help you reach a lot of people in a very short amount of time. For example, let’s say you share something on Facebook. Your friend then shares it among their friends, which exposes the content that you just posted to their friends. This continues down the line and creates an opportunity for many people to view your content. Social media makes the world feel much smaller, which in the case of marketing and advertising is a good thing. With these 2019 social media advertising strategies and trends, you can appeal to your target audience with the click of a button. Here are some of our favorite strategies to reach your target audience on social media. Enjoy! Social media users are bombarded with thousands of brand messages every day. Mostly, these brand messages include a sentence or two, a photo, and a call-to-action (CTA). Do these kinds of messages work? Of course they do – but there is something that works even better. When you put a face to your brand’s name, so to speak, you make users feel as though they know your brand personally. Ultimately, people want to buy from brands that they feel like they know and trust, so creating more personalized, direct messages go a long way. To do this, try creating a short video clip of you or one of your employees talking about a product or service. This will help to show and not tell potential customers about what you have to offer, and it is a great way to help them relate to you! You can even post to your Instagram or Facebook story talking about a product of yours. When it comes to marketing trends, video is one of the hottest. Over the past year, marketing agencies all over the world have been talking about how video is about to take off, well, it has! In fact, 87 percent of marketers use video content as a part of their marketing strategy. Video content has become extremely popular, so it’s time to start implementing it wherever you can in your marketing efforts. That doesn’t just mean your website, it means your social media strategy as well. Like we just mentioned in the point above, turning your ads into small video snippets is a great way to attract more customers. But your videos don’t just have to be ads. Video is a great way to attract users to your website by talking about your company culture, giving a tour of your facility, and so much more. The choice of how you utilize video is yours, but whatever you do, don’t leave it out of your 2019 social media strategy. Targeting options on social are so valuable and extremely important for reaching the people that actually want to buy your products and services. When you neglect targeting options, you miss out on a ton of potential leads. Segmenting your audience is a great way to ensure that you target them properly. For example, you can deliver different messages to an audience that already knows they want to purchase your product and an audience that is still on the fence. Ensuring that you target the right audience at the right time is the difference between a conversion and no conversion. When it comes to targeting, you can target your ads based on someone’s location, interests, previous website visits, and so much more. You can even target by demographic. The goal with ads is to ensure that there’s nothing left for a potential customer to wonder about. Instead of leaving the value up in the air, put the correct information in the ad to begin with. For example, if you’re selling Sherpa-lined slippers, titling your ad “Sherpa-lined slippers” isn’t going to effectively sell your product. Instead of giving potential customers room to ponder the purpose and value of your product, give it to them immediately. People who see this message will automatically know that these slippers will absolutely keep your feet warm, and the added humor never hurts. Finally, don’t forget to showcase a video or image of the product. A surefire way to not get clicks is to not provide a visual of what you’re selling. It’s more likely that users will scroll right past it before they even read your catchy sales pitch! To get the most value from social advertising efforts, you’ll want to be sure to analyze the results. Tracking the progress of ads, running A/B tests, and analyzing the success of different targeting options all help you decide exactly what kinds of ads work for your specific business. Imagine handing out a survey to potential customers to get a feel for what they were looking for in a product, and never looking at the results. That’s similar to not looking at the analytics for your social media ads. You can learn important information like how many people clicked your ad, what demographic clicked your ad, and how many people made a purchase on the corresponding landing page. All of that information goes a long way when you’re fine-tuning the perfect ad for your products and services. Do you have a favorite social media advertising strategy for the new year? As 2019 approaches, businesses are gearing up for Q1 of the new year. Are there any social media advertising strategies that you’re especially excited to try? What results are you expecting? If you’re interested in learning more about social media advertising strategies, visit our page!